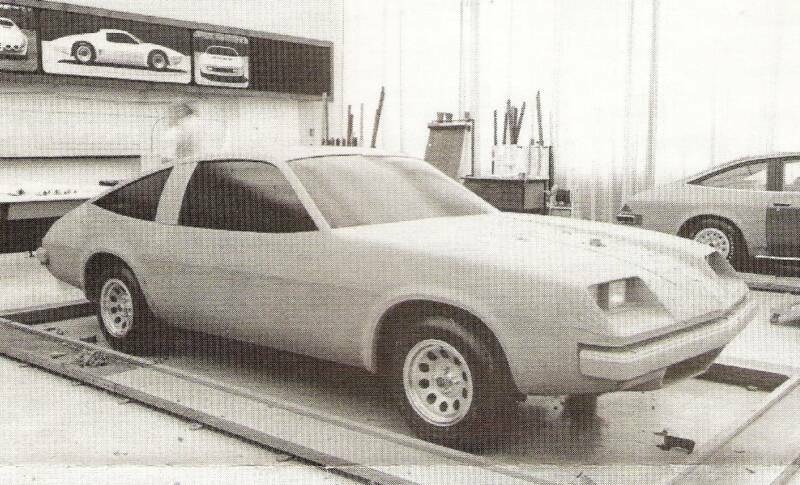 The following pictures illustrate the Monza from concept to production. Unfortunately these shots are copies of B&W photocopies so they are not as clear as I would like them to be. I wish I could take credit for these shots, both finding and using them, but they first appeared in the old H-Special Report that were mailed to members back in the late 90's by Mike Van Auken. Since many of these mailings are long gone I thought presenting them here was appropriate and would give you a great insight into how the monza started life on the drawing board and advanced through clay models to prototypes to eventual production. These photos were Copyright 1978 General Motors Corp. and were used by Mike for his H-Special Report mailings with permission of GM Media Archives. 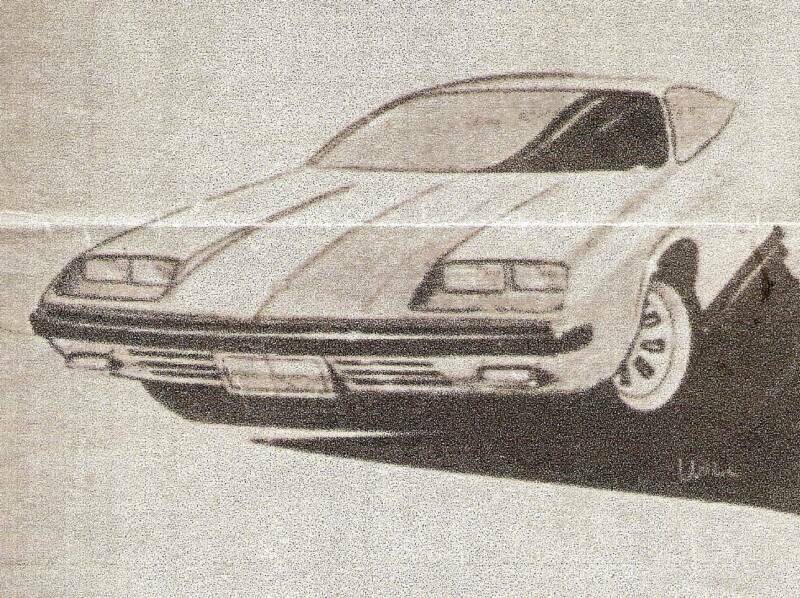 The 'H-Special Program' (GM Code Name ... the Monza, Skyhawk & Starfire names were not adopted until 1974) was the object of much speculation during the early 1970's. 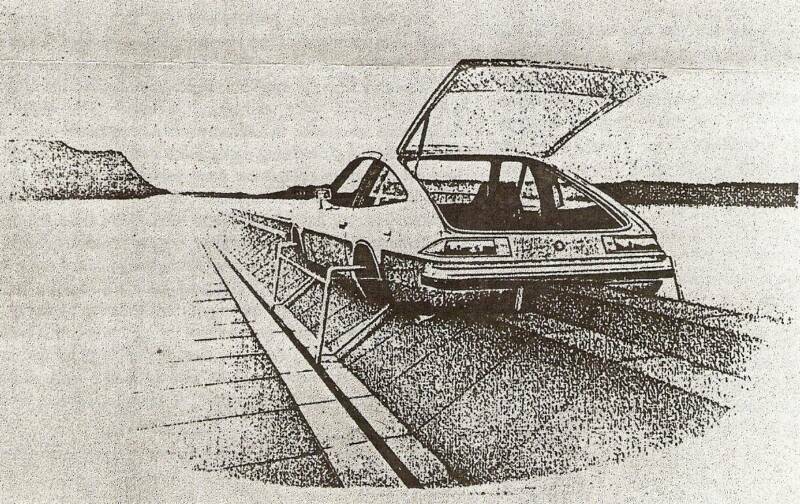 This drawing was one of several early design proposals. Several variations on this particular drawing exist with different grill openings both above and below the bumper. To the left is a view of the clay model that has been finished with a plastic film to simulate paint (c. 1972). note the rear rotary emblem on the rear facia. The front and rear bumpers also seem to be seperate from the main body, similar to the initial design proposals and the first running prototype at Pininfarina. This model is remarkably similar to the final production version. 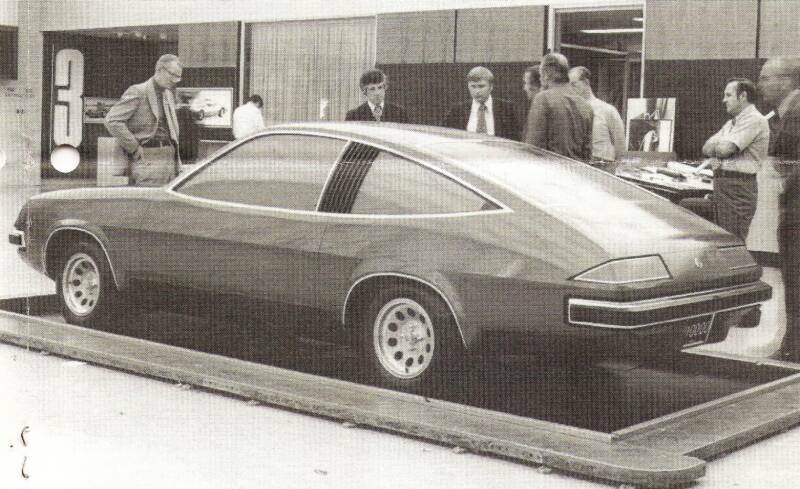 To the right is a drawing of the shell of a Monza as it undergos rigorous testing prior to production. This set-up has a Monza body perched on top of a framework that runs along the tracks. The framework and shell is then hurled down the track at high and low speeds for various tests. My understanding is that it is designed to test a vehicle's aerodynamic properties. Is it possible that this is also testing the rear hatch shocks for their ability to keep the hatch open in various wind conditions? To the left is the finished product. This is one of several photographs of the Monza 2+2 that was released to the press in August of 1974. This particular car had a red exterior and a buckskin interior. This is a brand new Chevrolet Chaparelle. Yes, a Chaparelle. Notice the fender emblems, they do not say Monza, at least not yet. But that is another story.